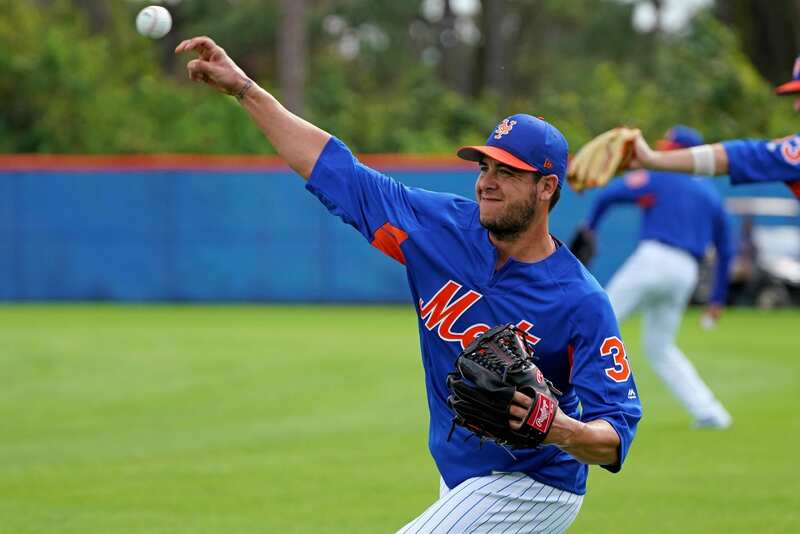 One of the newest New York Mets, Anthony Swarzak, looks to be a reliever the team can depend on. The Mets signed him to a two year, $14 million deal in the offseason to rebuild the bullpen. The Minnesota Twins drafted Swarzak in the 2nd round of the 2004 MLB Draft. He waited until 2009 to finally get a call-up to the big leagues. Swarzak struggled with the Twins, putting up a 6.25 ERA in 12 starts. His entire 2010 season was spent in the minor leagues, but returned in 2011 to put up a 4.32 ERA. His ERA rose to 5.03 in 2012 and spent a majority of the year in the bullpen. Swarzak’s 2013 season started on the DL after fracturing his rips after “wrestling around a little bit”. He returned to have a very strong season with a 2.91 ERA in 96 innings. He regressed in 2014 with his ERA up to 4.60 and his strikeout numbers going down. The Twins announced that Swarzak was out-righted off the 40-man roster after the season ended. The Cleveland Indians signed him to a minor league contract in 2015 but released him after he pitched 10 games. Opening day is right around the corner, so you’re not going to want to miss out on any BIG news! Sign up to our free newsletter to get premium Mets content straight to your email. Upon his release, Swarzak signed with the Doosan Bears of the Korea Baseball Organization where he finished the rest of the 2015 season. Swarzak signed a minor league contract with the New York Yankees in February of 2016. He started the season with in Triple-A and but finished the season with a 5.52 ERA in 26 games. Swarzak was granted free agency instead of accepting a demotion to Triple-A at the end of the season. The Chicago White Sox brought in Swarzak on a minor league deal for the 2017 season and he went on to have a terrific season. In late July he became a trade piece for the Sox and they sent him to the Milwaukee Brewers for a minor league outfielder. He had the lowest ERA (2.33) and most strikeouts (91) he has had in his long career and he was able to parlay it into a good deal in a slow free agent market. Swarzak has always struggled with putting back to back strong seasons but the Mets believe that Swarzak is a different pitcher now than earlier in his career. Swarzak bring a mid-90s fastball, a high-80s tight slider and will pound the strike zone. He has only pitched three innings this spring, allowing one run, but will be ready to pitch on Opening Day.